Question surround the start of the Saskatchewan Rush season after players rejected the league’s most recent offer at the bargaining table. Question surround the start of the Saskatchewan Rush season after players rejected the National Lacrosse League's most recent offer at the bargaining table. "We provided the league with a proposal for a one-year deal so the season can get back on track with the ability to negotiate for a longer-term deal," said Dave Succamore, executive director of the Professional Lacrosse Players' Association. The collective bargaining agreement expired earlier this year. Succamore said the league and the players' associations are continuing to negotiate, but players have pledged not to attend training camps until a fair agreement was reached and ratified. In a tweet, the association wrote a major obstacle was the league's "unwillingness" to tie Average Team Revenue growth to the players' salaries. The association wrote that it appreciated the fans' support during the negotiations, tweeting, "Please know we are looking forward to doing what we do best once we get a fair deal in place." 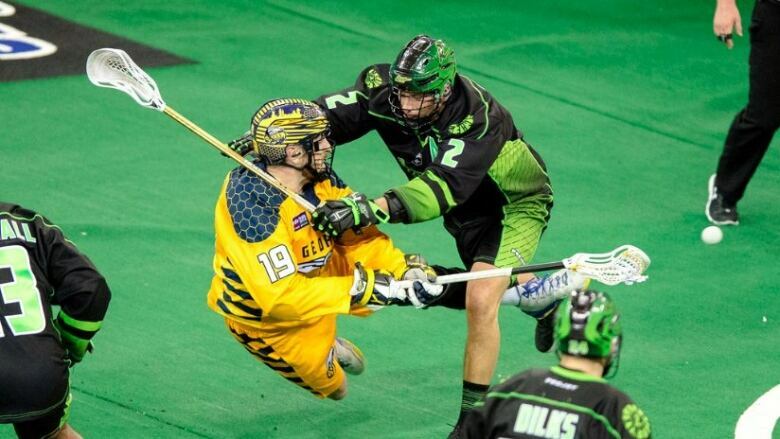 The Saskatchewan Rush has proven to be hugely popular in Saskatoon. In 2017, the league commissioner noted the Rush ranks alongside the Calgary Roughnecks, Colorado Mammoth and Buffalo Bandits as one of the top four teams in terms of ticket sales. The Rush's have won three league titles in four seasons. The Rush's pre-season was scheduled to begin on Nov. 16 in Saskatoon. The regular season is slated to begin on Dec. 1, with the Rush taking on the Georgia Swarm.